Anne was born 8 November 1912, and died 8 February 1999. Lucille was born 5 February 1915, and died 19 August 1996. 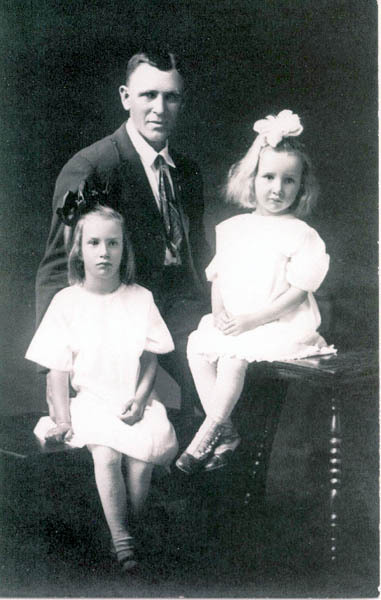 They are the daughters of Lulu May (Tittle) & William Henry Gassaway. James was born 24 March 1869, and died 9 July 1944. He is the son of Lutilla (Main) & David Reed Tittle and he is the grandfather of Anne and Lucille.